Unless you've been living under a rock recently you can't have missed the rave reviews for Konami's latest installment to the Metal Gear Solid franchise. Garnering 9's and 10's by the bucket-load, Metal Gear Solid V: The Phantom Pain almost sounds like a shoe-in for 'Game of the Year' awards later this year. So it's doubly nice to hear that on the back of these reviews NVIDIA are extending their MSGV GPU+Game bundle for another week, giving you more opportunity to pick up it and brand new high performance graphics if you were at all on the fence. 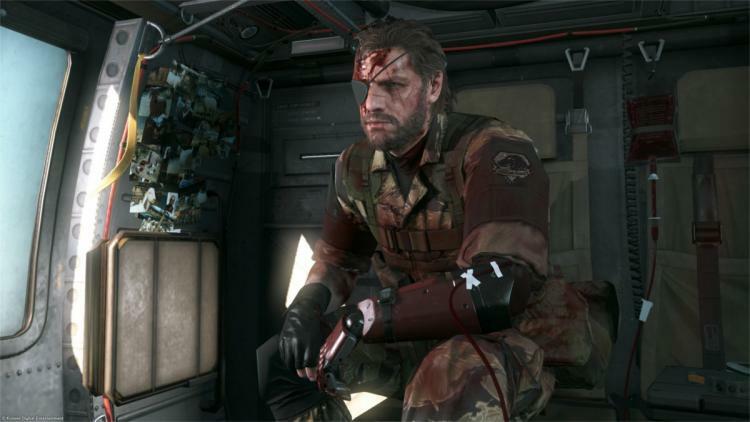 NVIDIA's Metal Gear Solid V: The Phantom Pain bundle started on July 23rd and was set to run until September 1st. By extending it to the 8th September the offer period now straddles the revised launch date, so those who have a 'wait and see' policy for new games can do just that. A week will be just enough time to weed out any launch niggles, letting you purchase with peace of mind, or you can take advantage of the extra week for budget reasons. It's worth noting that The Phantom Pain's release was in fact brought forward from the 15th, and it's nice to see NVIDIA reacting positively to changing circumstances. The offer is open to discrete graphics cards based on NVIDIA's GTX 960, 970, 980 and 980 Ti bought from participating retailers. All will include a redemption code for one copy of Metal Gear Solid V: The Phantom Pain, redeemable at [url=]https://redeem.geforce.com/[/url]. Those who would prefer a more mobile option can instead opt for a laptop with GTX 970M/980M graphics. Upon redemption a Steam code for the game will be shipped to you when available. For more information, including redemption instructions, visit the official landing page at http://www.geforce.co.uk/games-applications/pc-games/metal-gear-solid-v-the-phantom-pain/bundle.